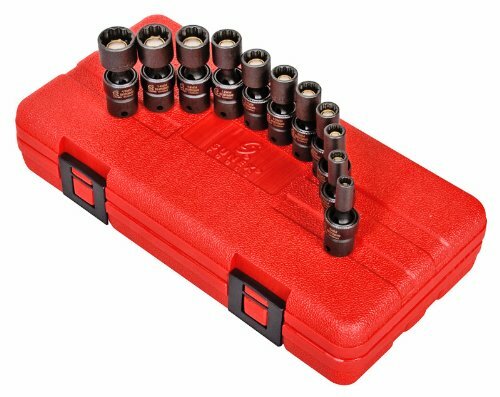 View More In Sockets & Socket Sets - Page 2. Forged from the finest chrome molybdenum alloy steel-the best choice for strength and durability. These magnetic sockets hold the fastener securely in place and is great for use in confined spaces. Set features a heavy duty blow molded storage case and is fully guaranteed. Set includes: 5mm, 6mm, 7mm, 8mm, 9mm, 10mm, 11mm, 12mm, 13mm, 14mm and 15mm. If you have any questions about this product by Sunex, contact us by completing and submitting the form below. If you are looking for a specif part number, please include it with your message.